The North Wilts Canal is part of the Wilts&Berks Canal Trust, formed with the aim of preserving the line of the canal between Swindon and Cricklade and promoting its use. Construction of the eight mile North Wilts Canal began in 1814 and it opened on 2nd April 1819, forming a vital link between the Wilts & Berks Canal and the Thames & Severn Canal. It left the Wilts & Berks Canal in the centre of Swindon (where Debenhams now stands) and dropped sixty feet via twelve locks to join the Thames & Severn Canal at Latton Basin. A tunnel took the canal through Cricklade, and several aqueducts were used to span waterways including the River Ray north of Swindon, River Key south of Cricklade, River Thames at the top end of North Meadow and the River Churn next to Latton Basin. Many culverts allowed the passage of floodwater, tributaries and streams under the canal and innumerable bridges allowed roads and farm tracks along its route to cross over the canal. Initially the major trade was coal, as the new canal enabled coal from Staffordshire and the Forest of Dean to travel south, and coal from Somerset to travel north, establishing many coal merchants in Cricklade. The canal also used to pass in front of the warehouse at Wharf Farm, so in the early days it was also used extensively for carrying grain supplies from Lechlade, Cricklade, Cirencester and Bristol as well as the carriage of bricks, slates, salt, flour, malt, iron and timber. Chelworth Wharf was at The Fiddle in Cricklade, north of the junction with The Forty, and at one time the canal reached the Knoll at the lower end of the High Street and as far as the gates of Brook House. The Wilts & Berks Canal Company purchased the North Wilts Canal in 1820, just one year after its completion, but this combined canal operation did not become profitable until the 1840s when it began to be used for the transportation of construction materials for the newly created Great Western Railway. On completion of the railway, much of the canal trade was taken by this faster transport system and the canals started to lapse into permanent decline. 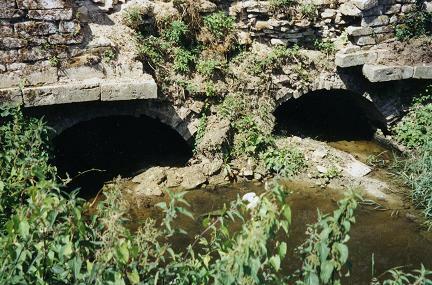 Due to the low canal trade, insufficient funds were available to carry out essential maintenance and repairs, so when the aqueduct at Stanley collapsed in 1901, preventing navigation to and from Semington, the Wilts & Berks Canal became largely derelict and was eventually abandoned by Act of Parliament in 1914. The last boat went through the North Wilts Canal in 1911 and it too was finally abandoned in 1927. In December 2000, rescue work was started on the River Key Aqueduct, a few hundred yards south of Cricklade on the B4553 to Purton. Work parties are on Sundays from 9.00 am. You can read the Work Party Organiser's report on what has happened over the years here. If you have the Google Earth software loaded, this link will take you straight to the aqueduct. The crumbling arches, shown in the photograph above, have now been rebuilt, as have those on the north face, using locally made canal bricks which were recovered from the river bed. The north stone wall above the arches has been completed, and the collapsed middle culvert under the aqueduct has been rebuilt. The work so far has been in spite of the site being closed for nearly a year due to œfoot and mouth restrictions. Progress can only be made when the river is below the level of the coffer dams, enabling the water to be pumped out, and the mud and debris to be carted away at the start of each working day. Volunteers have recently rebuilt the wing walls and towpath wall. The coffer dam was moved to the final tunnel for inspection and repair. Work in this tunnel was recently completed. Hayes Knoll lock was purchased in 2005 and once the aqueduct is completed, work parties will be moving there to rebuild the lock “ almost from scratch as there is not much solid brickwork left. The British Waterways feasibility study for the route options around Cricklade concluded that the eastern route was the most realistic and by far the cheapest. The Riverscapes design proposes that the canal will cross the fields from the aqueduct; pass under the Swindon road near the mini roundabouts, linking into the widened and deepened Thames in order to pass under the A419 bridge, before running north to join the Thames and Severn canal. Adjustments to water courses including the Churn will result in ecological improvements benefiting all the local water courses. A marina will be possible alongside Swindon Road, which will provide easy access into Cricklade. European Union Funding has been applied for, in a joint bid with the twinned Wilts & Berks and Nantes & Brest Canals. If successful, our share will be spent on restoring the North Wilts Canal as a flagship project linking the Thames & Severn Canal and River Thames with the growing Swindon conurbation. New memberships will help to successfully obtain funding so please apply using the form. The Wilts & Berks Canal Amenity Group (now Canal Trust) was formed in 1977 with the aim of preserving the line of the canal and promoting its use for recreation and study. In 1987, this aim was amended to œprotect, conserve & improve the route of the Wilts & Berks Canals and North Wilts Canal, and branches, for the benefit of the community and environment, with the ultimate goal of restoring a continuous navigable waterway linking the Kennet & Avon Canal at or near Melksham, the River Thames at or near Abingdon, and the Thames & Severn Canal at or near Cricklade. The nine branches of the Trust each serve their own section of more than sixty miles of the historic route of the Wilts & Berks Canal. They operate from Bath & Bristol, Melksham & Calne & Chippenham, Foxham & Lyneham, Wootton Bassett, Swindon, Cricklade, West Vale, East Vale, and Abingdon. 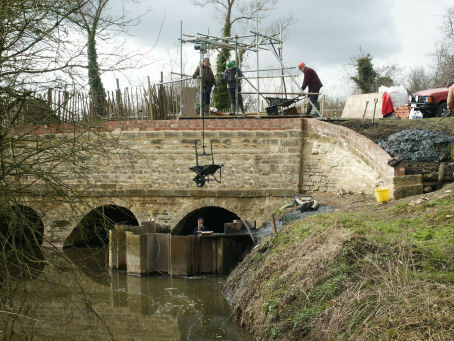 The Cricklade Branch was formed in December 2000 and is responsible for the restoration of 5 miles of the North Wilts Canal from the Moredon Aqueduct, which crosses the River Ray at Swindons boundary with Purton, to its junction with the Thames & Severn Canal at Latton Junction. The aim is to complete this restoration by the end of 2011 and we need your help to achieve this target. Many of our activities are of a physical nature involving regular work parties, doing scrub bashing, site clearance, digging, stone masonry, brick laying, heavy plant operating, machine maintenance, carpentry, painting, etc¦etc., but there are also many behind the scenes activities such as fund-raising, publicity, exhibition stands, secretarial, communication, IT, website design, accounting and many more. We are also very happy to accept non-active members who, for various reasons, are not able to participate in the Trusts main activities. We provide such members with copies of our quarterly magazine Dragonfly, which is filled with news and information about the canal, and welcome them to our Cricklade Branch meetings, which are held on the third Tuesday of each month at The Bell Inn, Purton Stoke, starting at 7.45pm. Please join and help the canal here. 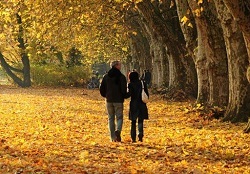 Many couples choose a walk through nature as a way in which to be close and romantic. A canal walk is one good option and the historic North Wilts canal in the heart of Wiltshire has become known for its elegant beauty and large spaces, which are perfect for a romantic walk and a picnic with a loved one.The walk through nature can be a great start to a romantic Valentine's Day combined with some truly wanted gifts from her. Personalised your Valentine's gifts for her and make her feel special and loved. The location is based in England and connects to the Avon Canal which is based in Semington. It can also be found via the River Thames that is based at Abington. The canal is 52 miles long and provides many areas for walking and enjoying the natural surroundings. You can dip in at any point of the route and enjoy the various arrays of bridges, locks and walks that have been built up over the years. Why not take a loved one for a romantic walk in the hot summer months and enjoy a picnic along the river banks. You may wish to involve music and could take a guitar to play on. In the winter months the canal also becomes a place of wonder and the river freezes over if it is cold enough. Snow and ice then cover the natural surroundings and the canal becomes an area of ice-laden beauty. The canal is perfect for a walk with the romance of a partner by your side. However, it is also long enough to explore on bike and you may wish to enjoy the location with the aid of your partner as you both travel along the canal, exploring even more at a faster rate. There is now much to enjoy on a bike ride during the summer months and you can also take a bottle of wine or some beers with you for a stop along the way. Consider this canal as a romantic location next time you are in the South-West of England. This is not an official Wilts & Berks Canal Trust website, but is run in support of the work of the Cricklade Branch of the Trust. All opinions and comments on these pages are solely those of the authors and do not necessarily represent the views of any of the organisations mentioned in these pages.